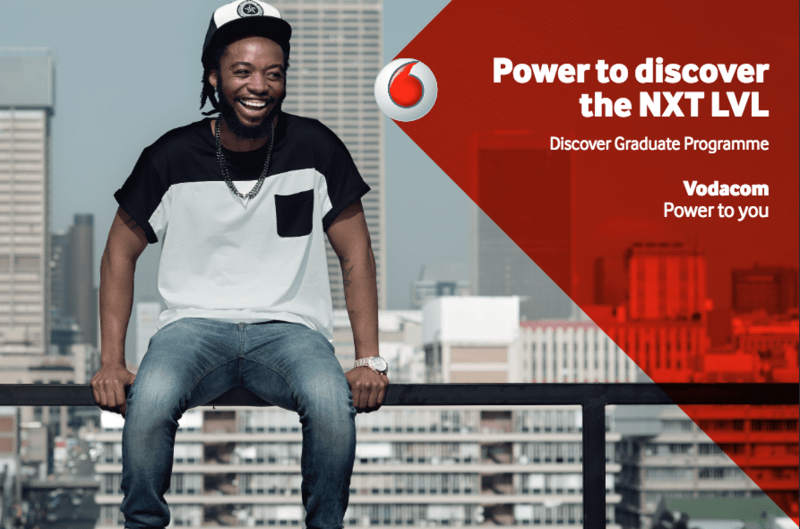 The Vodacom Group is looking for the future leaders of our business – today’s graduates who have the ambition, drive and ideas to shape their world. If that’s you, the Discover Graduate Program will provide you with an accelerated career path. Gaining high business exposure from day one, you’ll experience rotations in different areas of our organisation. Vodacom iscommitted to developing and inspiring fresh talent so you can expect plenty of support and guidance as you develop your skills in your chosen field. It’s a challenging and rewarding adventure, and as you work alongside some of the industry’s leading experts you’ll develop the solutions that will shape our customers’ futures and yours. Need a shot at success? We hear you! Apply for the Vodacom Discover Graduate Programme and take your career to the NXT LVL. It’s not job. It’s your start-up. Designed to test your problem-solving skills, the tests will tell us whether you’re capable of working with different types of information, thinking through problems from a fresh perspective and if you are comfortable with complexity and explaining your thinking to others. Taking place throughout the year, our assessment centres give you the chance to meet us and find out what life at Vodacom is really like. The assessment day will include group exercises, a presentation and an interview. You won’t have to wait long to find out whether you’ve been offered a place on the programme and the opportunity to take your career to the NXT LVL. We’ll inform you of the outcome soon after the assessment. We may even let you know on the day itself. If successful, you’ll then receive a formal offer. The next step will be getting ready to shape your world! and investment we’ll put into your career will be second to none. Hi my name is Prudence. I’m very interested in the graduate discover programme. I would like to know when is the nest open date for new applications.